Since the akar dani plant take over most of the space nearby my kenanga plant, I sometimes forget its existence. 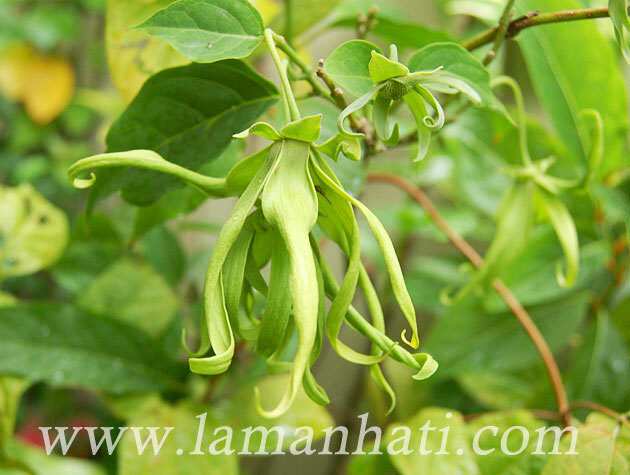 Last month I noticed there were new blooms coming out from the ylang ylang. I quickly snapped some pictures. The first bloom is usually in green then after a few days the flower will turn to yellow and smell really fragrant. I’m still not sure what’s the best way to propagate my ylang ylang plant. Will have to do more research and take some risk to experiment. 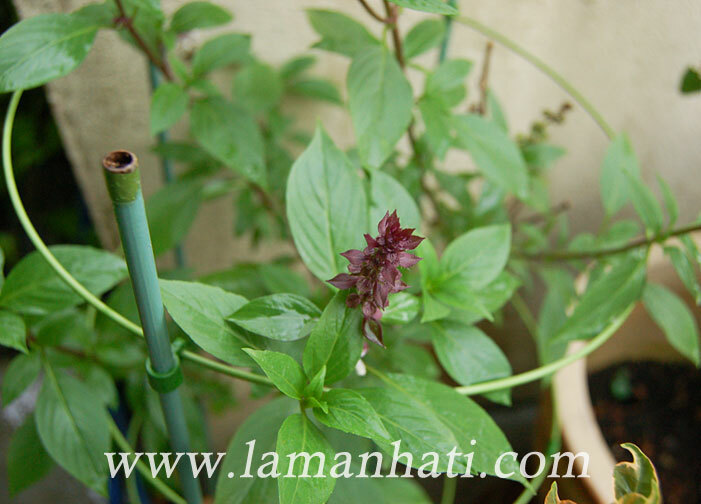 There are many types of basil, but this particular one is known as Thai basil or Ocimum basilicum ssp. A friend gave me the plant several months ago. I’ve seen the leaves being used in Thai dishes but never like the taste and the smell of it. 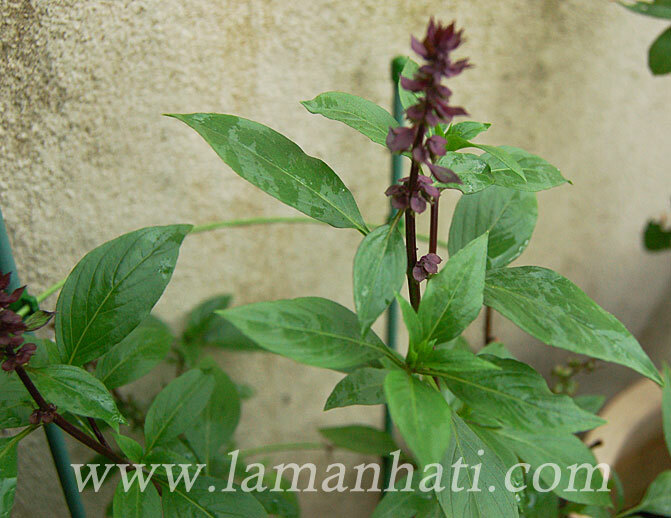 Thai basil has purple stems and flowers and spear-like leaves. Since it is a tropical plant, it should be placed in a spot receiving at least six hours of direct sunlight a day. From what I read, propagation can be done by sowing seeds and stem cuttings. Perhaps in days to come I will let the flowers dry and see whether there’s any seed to harvest. 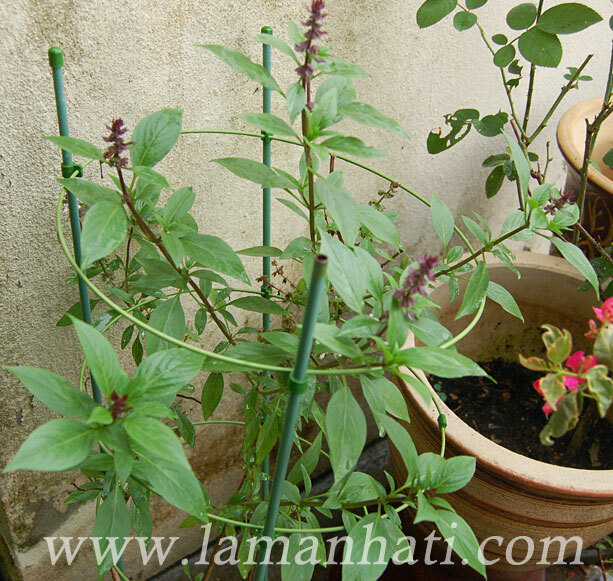 However if you are into harvesting the leaves for cooking ingredient, you shouldn’t let the basil flower. Pinch the flower when it appears and trim the tip to make it bushy. 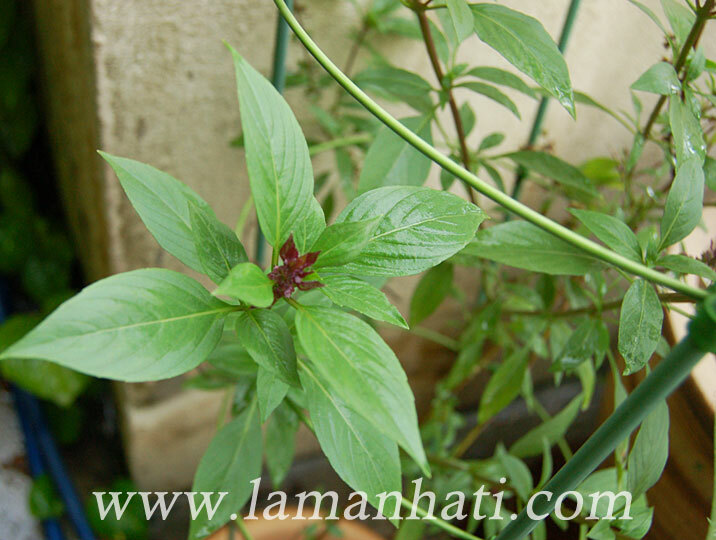 Thai basil is also a good companion plant if you are planting other type of vegetables. The strong aroma could help repel pests.